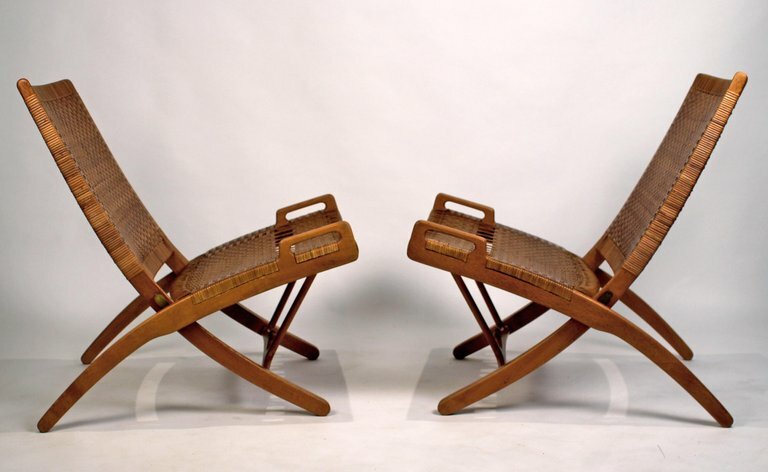 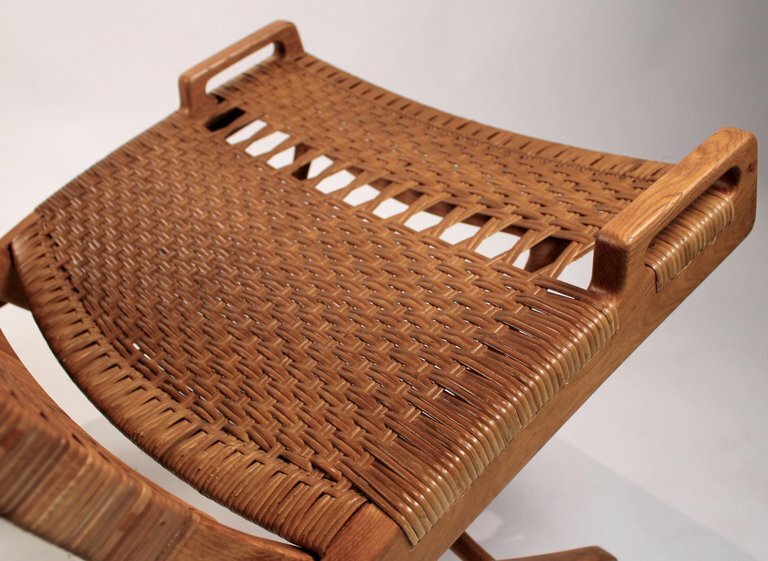 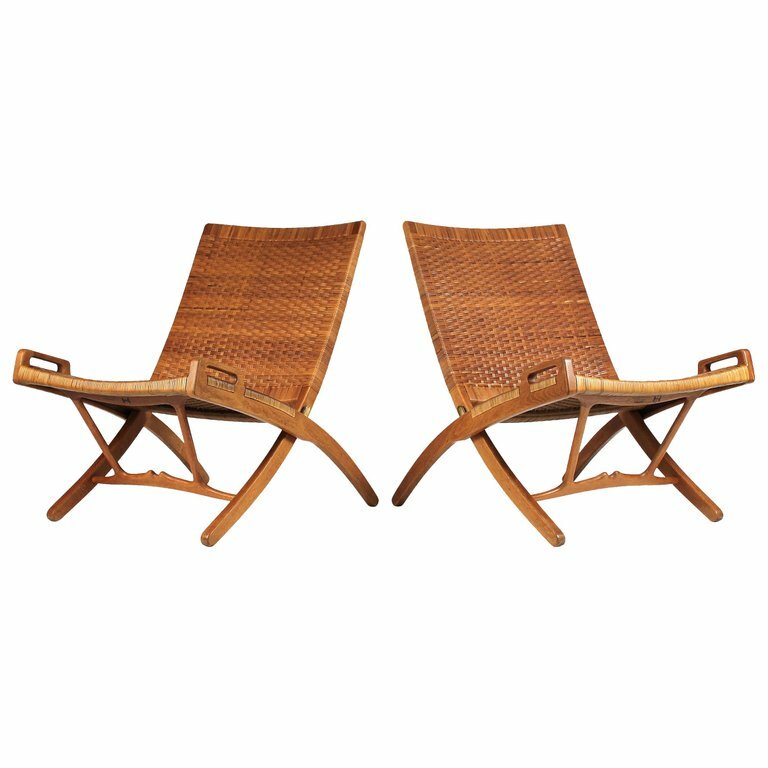 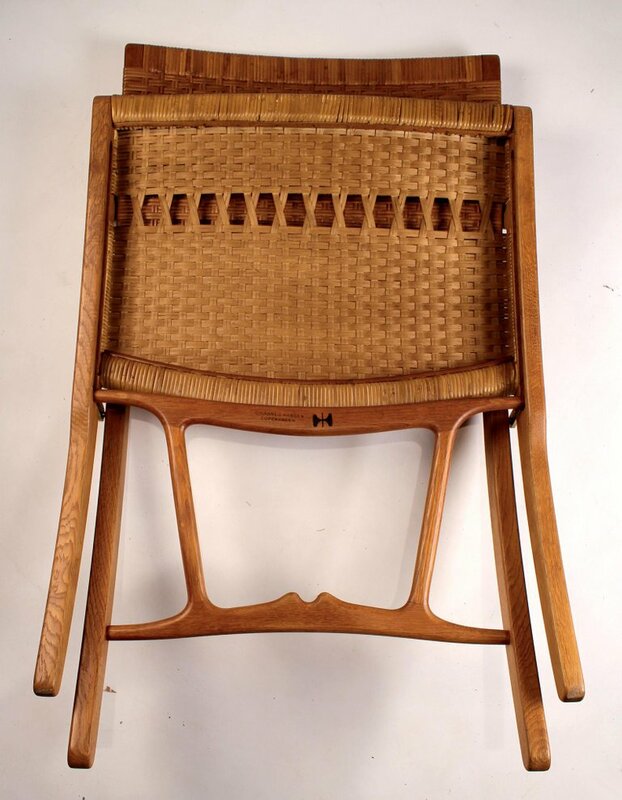 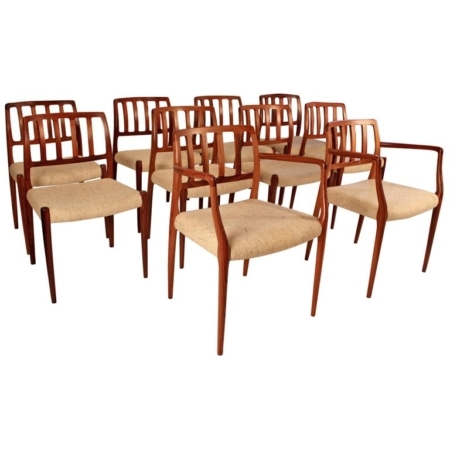 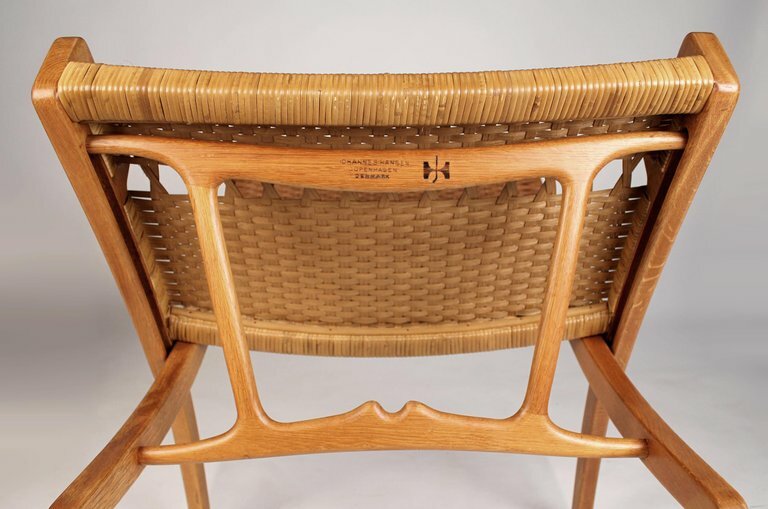 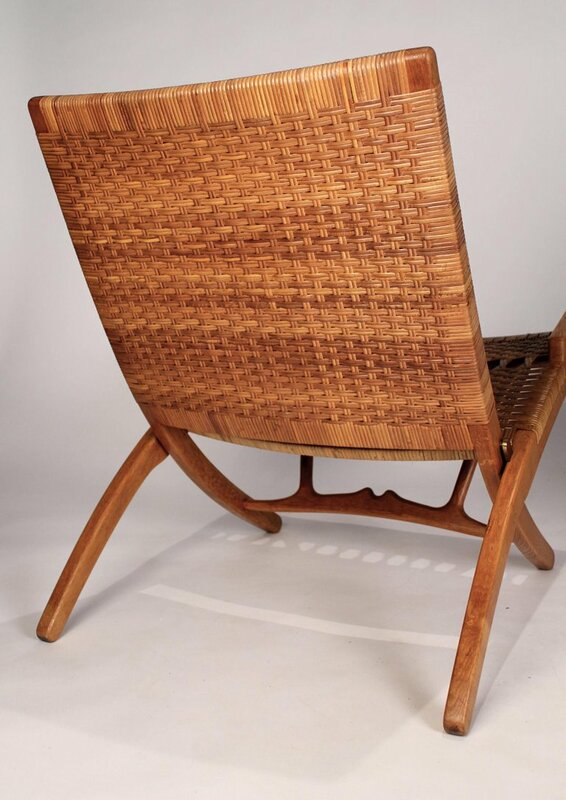 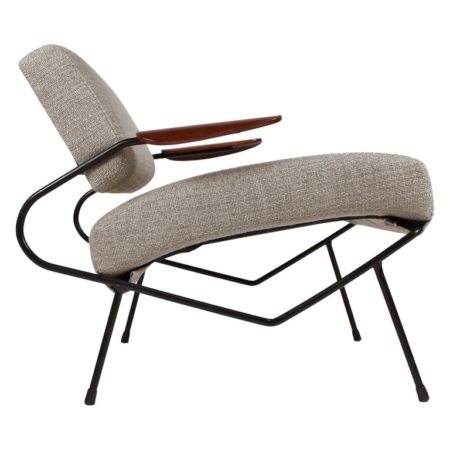 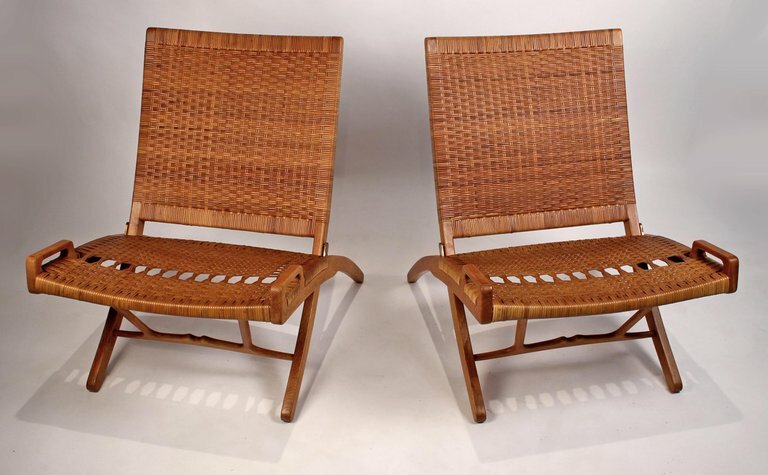 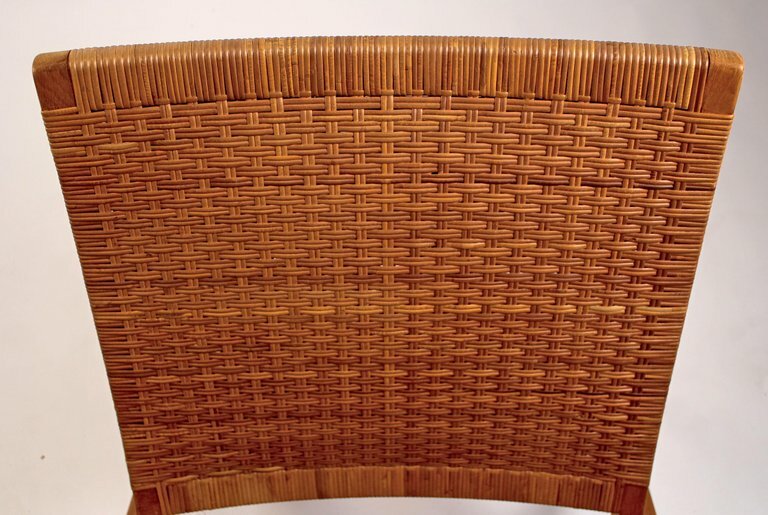 This pair of Danish modern masterpieces is in excellent condition with no breaks to the cane. 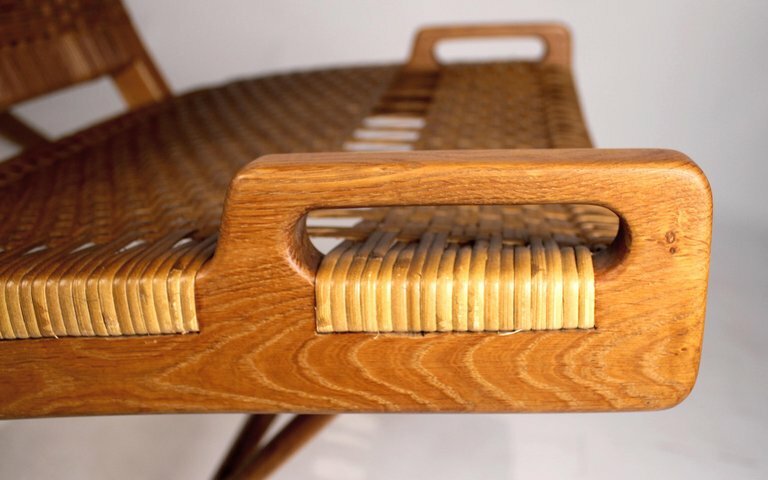 The oak is also in fine condition. 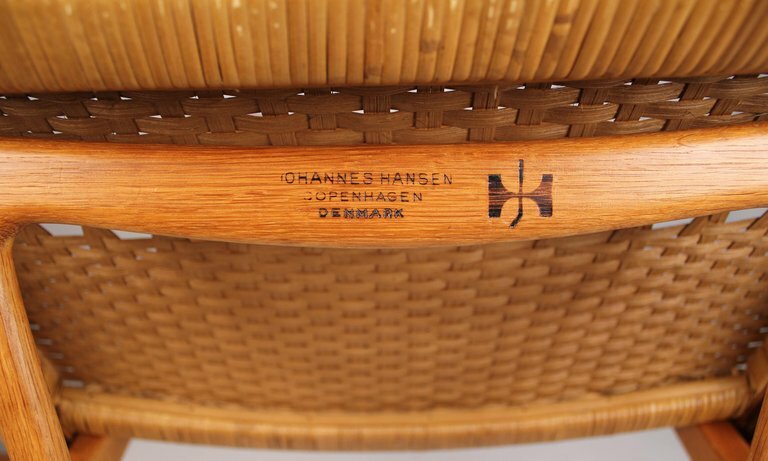 Original 1950s JH stamps are visible on both chairs. Priced for set.